Ben Huh, CEO of the entertainment company Cheezburger (the people responsible for making cat gifs so popular) just made a major product announcement. But the announcement didn’t read like a typical announcement at all. It was brilliant. Instead of a typical robotic press release, Ben’s announcement was 95% story and 5% product details. And the story was riveting, telling how the company almost fell apart, burned nearly $30M dollars, and lost a major executive to cancer. This turned what would normally be a boring “look at what we did” moment into an opportunity to connect on a deeper level with people who might not normally care about the company at all. 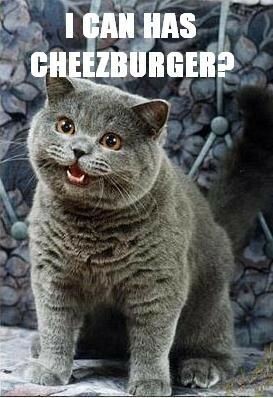 In fact, I hadn’t thought of Cheezburger for years, since they made headlines for raising $30M dollars back in 2011. There’s a lesson here for all of us. “A spoonful of sugar” comes to mind. Anytime you have something to say, you have a choice to make. You can either be selfish and just tell the details of your announcement, or, you can use the opportunity to be entertaining and to win new fans with an interesting story. It’s not always easy to be entertaining, but any thinking you can do about how to make your announcement more interesting will serve you better.